Ever want to give a super special gift but could not think of something perfect? Well today’s project is perfect! 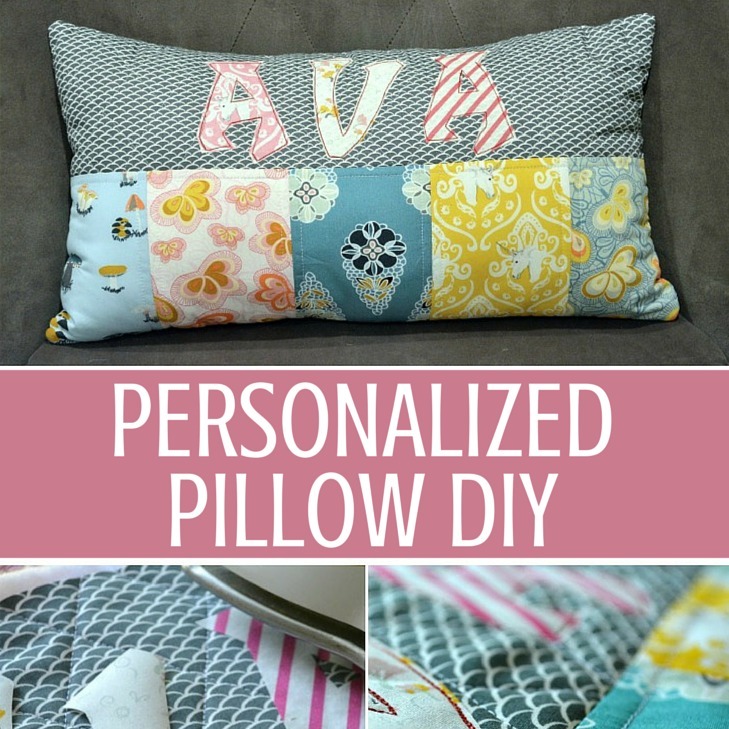 Not only are personalized pillows easy to make but depending on how much time you have on your hands, you can embellish them or even add decorative stitching. Let’s get started. This project is for all skill levels. **This project is fat quarter friendly! 1. 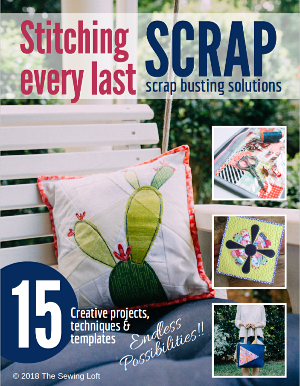 Cut all your fabric pieces to size. Note: You can use any font or draw your own. I used Funky Alphabet Applique for this pillow. It comes in 3 sizes and is mirrored for easy tracing. 3. Once your stripes are all stitched in place, position the position 4 1/2″ strip across the top edge of batting WRONG side up; stitch in place. Flip over to expose the RIGHT side; press. 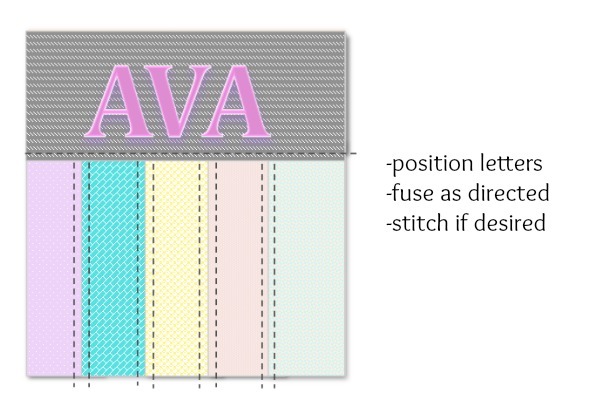 Add any additional quilting if desired. 4. Now it’s time to personalize! Grab your pre cut fused letters and position them in place along the top band. Follow manufactures instructions and iron in place. 5. 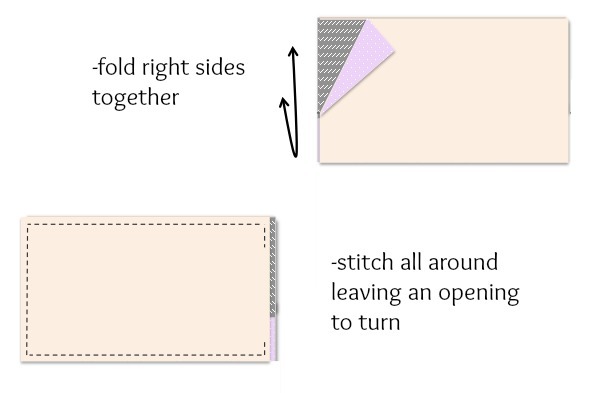 Fold cover right sides together; stitch along each side with 3/8″ seam allowance and leave a 10″ opening to insert pillow insert. 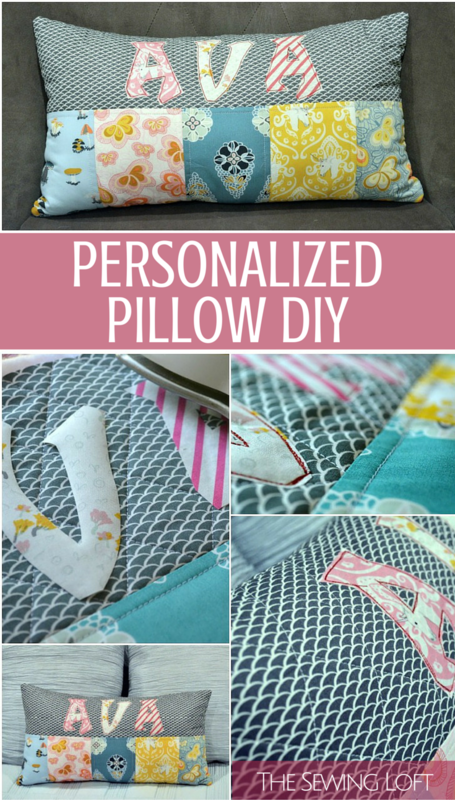 Tip: Make your own pillow insert in just 4 easy steps. Click here to see how. 6. Clip corners; turn RIGHT side out and insert pillow form. Hand stitch opening closed with a ladder stitch. 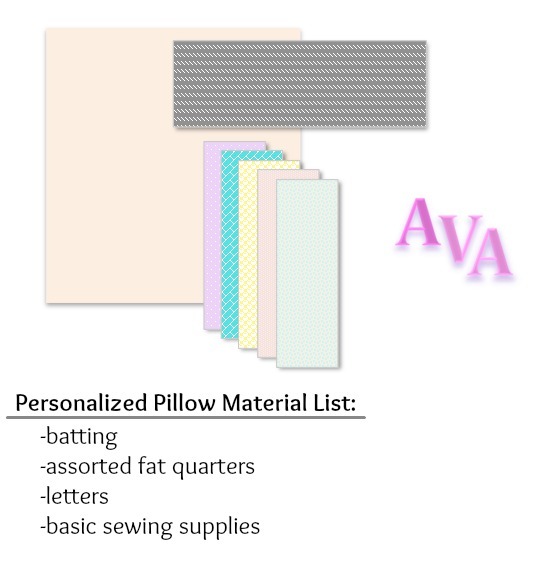 Before you hand off this personalized pillow be sure to put a label on it! Labels are an easy way to remind the recipient just who made this lovie for them. Not to mention, you put your blood, sweat and tears into this project…. well, I hope not! The fold over method is really a cheater to make those stripes line up perfectly without any stretching. Fingers crossed it worked like a charm for you! Don’t you just love the way it turned out?! The fabric is from Fantasia from Sew Sweetness and I absolutely LOVE it! The colors are really fantastic. 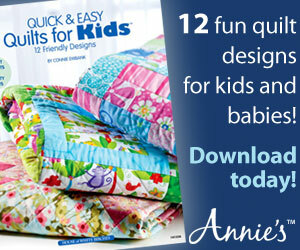 The entire collection offers a refreshing balance between whimsy and modern, just perfect for any age. If so, I’m glad you stopped by and hope that something has inspired you to keep your needle moving! Don’t miss a single project and subscribe via email HERE! Bonus- free printable template with newsletter sign up. Another great way to connect with me is via Facebook, Pinterest, Instagram, Google+ or Follow along with Bloglovin. I’m looking forward to getting to know you and creating together!